Tomorrow, November 20, premier rock and metal website Loudwire will release the debut episode of their 10-part weekly series, “Needle And The Damage Done”. The series of videos features rock legends telling the insane stories behind their most famous tattoos. 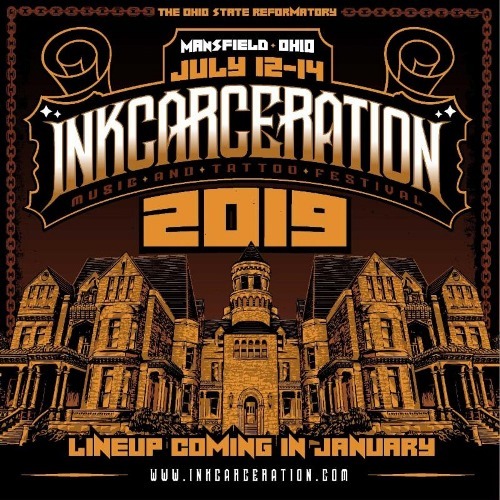 Filmed on location at the inaugural Inkcarceration Music and Tattoo Festival this past summer, Loudwire was granted private access deep inside the haunted cellblocks of the Ohio State Reformatory. This ten-part documentary series features such guests as Dave Lombardo of Suicidal Tendencies, Mina Caputo of Life of Agony, Corey Glover of Living Colour, Dez Fafara of DevilDriver, Lajon Witherspoon of Sevendust and Ben Weinman of the Dillinger Escape Plan, as well as members of Rise Against, Of Mice and Men, Lit and ’68.